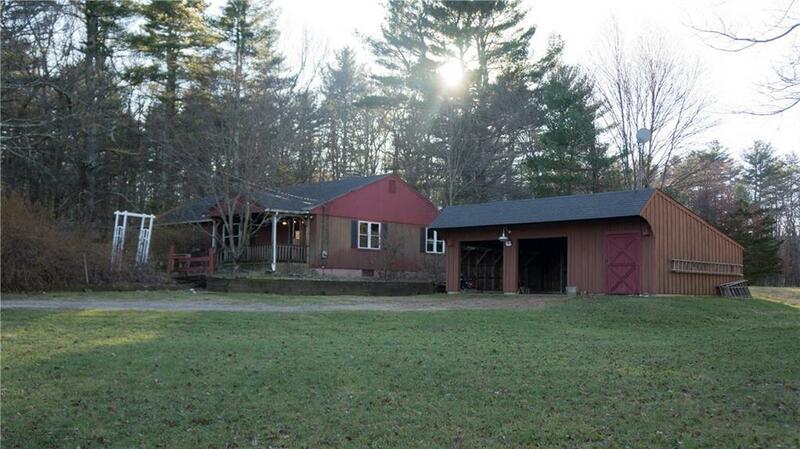 This two bedroom, one bathroom ranch sits on almost 30 acres of land and is tucked away from the road for added privacy. The main house features a finished enclosed porch, an open porch, and a wood deck. The property also includes a large barn and a garage.